If you have an interest in shooting videos, this product may cause your interest. With new design, this beautiful electric toothbrush can turn to be a professional spy camera. You can use it in the bathroom or other suitable positions to shoot something exciting. 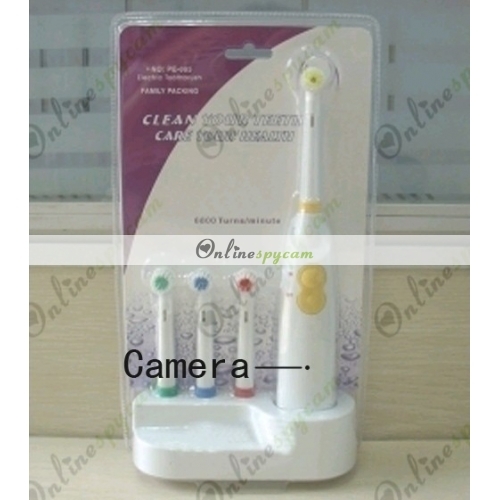 To achieve the video function, a HD pinhole camera is set inside the toothbrush. The bathroom hidden camera is tiny and set in a covered position that it can't be found easily. This electric toothbrush has its original function, you still can use it to brush teeth. The resolution of the camera is 1280x720 and that can help to get more vivid videos. The memory space is 16GB, with the addition of the large capacity battery, the camera can work about 10 hours. 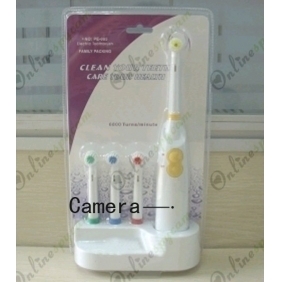 If you want to find something wonderful in secret, this popular style electric toothbrush with professional HD pinhole spy camera 16GB can be a good helper.